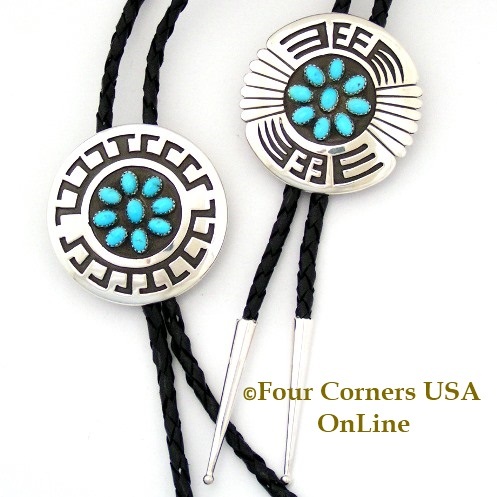 Native American Indian and Artisan Jewelry Selections for the Guys. Choose from Men's Rings, Bracelets, Pendants, Neckwear, Bolos and Sterling Watches. Wonderful and diverse selection of Southwest Jewelry and Contemporary Native American designs with specialty Turquoise stone such as Dry Creek Turquoise, Sleeping Beauty Turquoise, White Buffalo Turquoise and Kingman Turquoise to name a few. Although most Native American and Artisan Jewelry could be considered Unisex, we have included selections suitable for Men based on ring or bracelet size as well as necklace length.